The Friendly Brush Miswak stick is your 100% natural all-purpose organic toothbrush, toothpaste, mouthwash, floss, and remarkable teeth whitener all rolled into a tiny little stick. Miswak toothbrush sticks have been traditionally used for thousands of years and now you!. 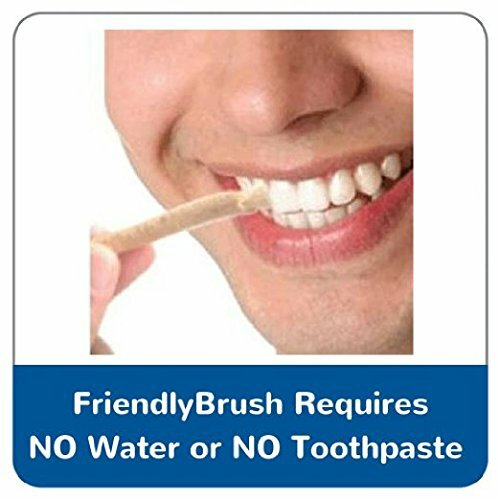 Our Friendly Brush brand of Mistakes are grown and harvested from the Salvadora Persica Tree in naturally pure soil that is tested for any foreign pesticides. 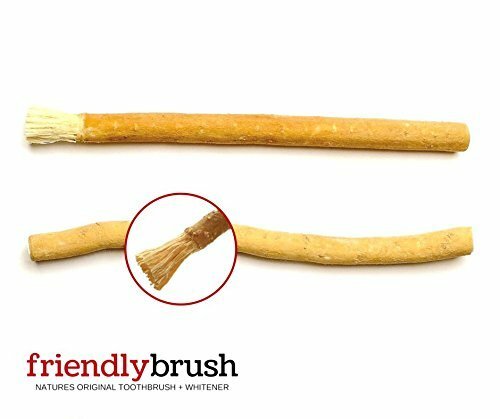 These sticks contain naturally occurring fluoride (2x what is found in toothpaste), which kills bacteria in the mouth, freshens up your breath, and whitens your teeth. The bark contains an antibiotic which suppresses the growth of bacteria and the formation of plaque. 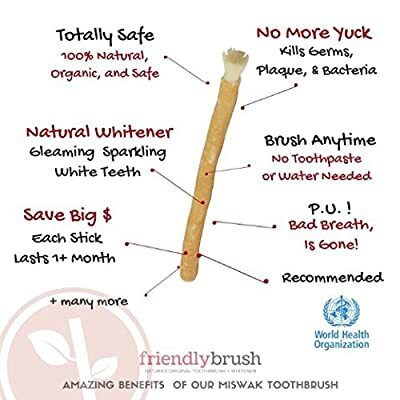 Research shows that regular use of miswak significantly reduces plaque, gingivitis, and growth of cariogenic bacteria. 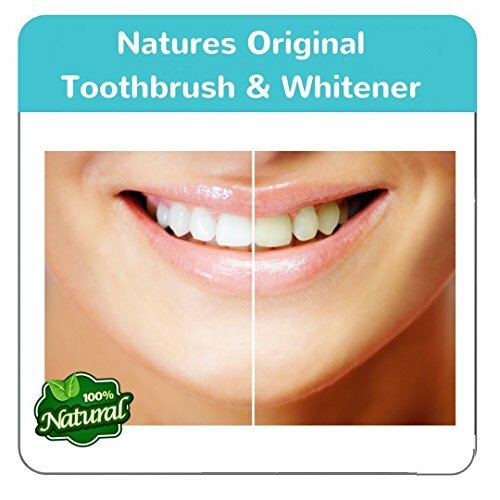 It naturally strengthens and protects the enamel with resins and mild abrasives for whiter teeth and fresher breath. It reduces stains from tobacco products, coffee & teas. - Brushes Better Due to its Parallel Bristles.